Ecologists and conservationists have long recognized that keystone species have major ecological importance disproportionate to their abundance or size. Think beavers, sea stars and prairie dogs — species that keep an ecosystem balanced. Small natural features have big ecological roles, according to the 37 researchers from 11 countries writing in a special issue of Biological Conservation. Sometimes they can provide resources that limit key populations or processes that influence a much larger area. Sometimes they support unusual diversity, abundance or productivity. They also are small enough to efficiently maintain or restore, while traditional land-use activities, such as forestry, fishing and grazing, continue in close proximity. 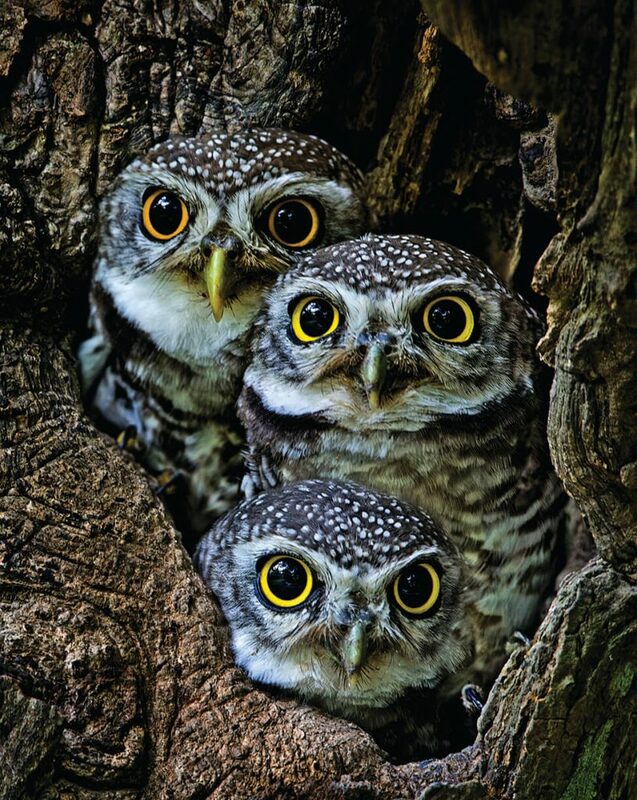 “Small natural features are an example of what can be termed ‘The Frodo Effect,’” writes Malcolm Hunter, University of Maine professor of wildlife resources and Libra Professor of Conservation Biology, in the introduction to the issue. This past spring, 23 University of Maine seniors in a communication course collaborated on a capstone project to create a useful resource for UMaine and its students for years to come. The project, “50 Things to Do Before You Graduate from the University of Maine,” is a UMaine bucket list for students by students. It was developed by associate professor of communication and journalism Claire Sullivan in collaboration with UMaine’s Division of Marketing and Communications. The list is online: umaine.edu/50things. In a study of self-identified mothers of violent children with mental illness to better understand their experiences when seeking help, researchers from the University of Maine and Niagara University identified three barriers that make it difficult to find effective assistance. The barriers are denial of the mental illness and the severity of violence by treatment providers, extended family, and nonfamily members; limited access to quality treatment and supports; and a recurring cycle of optimism and hopelessness. 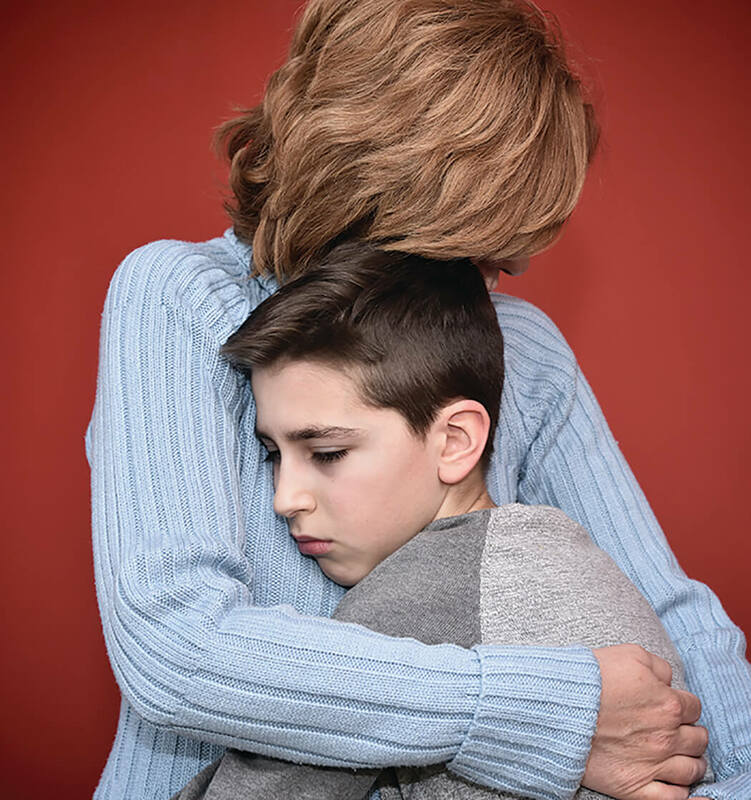 The mothers who participated describe an ongoing struggle to increase awareness of — and belief — that they and their children need help, according to UMaine sociology professor Karyn Sporer and her co-author Dana Radatz, a criminal justice professor at Niagara University. The researchers note that the barriers faced by these mothers and their violent children parallel those experienced by survivors of intimate partner violence. The hope is that greater understanding of the similarities can inform policy and social services, including the programs for survivors that have been effective in helping provide an informed support system and access to positive, helpful and supportive care. Currently, say the researchers in the Journal of Family Violence, “the mental health system seems incapable of providing adequate support to persons with mental illness and their family caregivers,” raising questions about societal priorities. Summer is coming to the Gulf of Maine — warmer than ever and as much as two months longer than just three decades ago, according to a research team led by Andrew Thomas of the University of Maine School of Marine Sciences. The study, published in the journal Elementa, examined the seasonality of sea surface temperature trends along the northeast coast of the United States. For all but a small region immediately north of Cape Hatteras at the southern edge of their study area, the researchers confirmed that surface water temperatures shows an increasing trend over the last three decades, with the Gulf of Maine warming at about 0.4 degrees Celsius per decade. The new analysis both mapped the geographic pattern of these trends and showed that the increase is actually much stronger than this in the summer and early fall months, from June to October, and weaker in the winter months. The impact of these seasonal differences was an increasing duration of the summer period — strongest in the Gulf of Maine, which had a trend of over two days per year. The research builds on previous work by Thomas and his colleagues, including Andrew Pershing and Katherine Mills of Gulf of Maine Research Institute, and others from Bigelow Laboratory, Stony Brook University and NOAA. In a widely cited 2015 paper in Science, these authors analyzed sea surface temperature data showing that the Gulf of Maine region exceeded the global average rate of warming over the last 30 years, and noted that over the past decade the Gulf of Maine warmed faster than 99.9 percent of the global ocean. Looking at details behind these trends was a logical next step. They were motivated by several questions: Do overall warming trends occur equally throughout the year, or do they occur primarily in a particular season? Which regions are the most susceptible or resilient to changes in sea surface temperature? With funding from the National Science Foundation and NASA, they took a higher resolution version of the same set of data — 33 years of satellite measurements — and zoomed in on the northeastern North American continental shelf region. Then they separated the data into months, so they could quantify and map seasonal trends. Their results showed patterns in space and over the seasonal cycle that were not evident in earlier studies. University of Maine researchers have developed a tool called “BeeMapper” that will allow blueberry growers to assess the predicted wild bee abundance in the landscape surrounding their crop fields. “Having a better understanding of the predicted wild bee abundance in the landscape surrounding crop fields is important when making pollination management decisions,” says UMaine doctoral candidate Brianne Du Clos, who led the development of BeeMapper with funding from the university’s Senator George J. Mitchell Center for Sustainability Solutions. For example, knowing the numbers and types of wild bees in the surrounding landscape will help growers budget how many honeybee hives to rent and help determine if they could take more action to enhance wild pollinator populations in their fields. 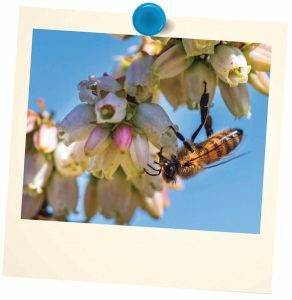 BeeMapper is part of a pollinator toolbox developed at UMaine that includes wild bee identification and monitoring tools, guidelines on installing pollinator plantings, and a budgetary tool to explore financial feasibility of pollination management decisions. Together, these tools will help growers attract more wild bees to their farms. BeeMapper is online: umaine.edu/beemapper. Atlantic sturgeon that summer in Maine’s Penobscot River estuary can be found in the fall and winter in waters as far away as Nova Scotia and New York City, according to a seven-year study of the fish that is one of the planet’s oldest living fossils. The study’s findings are helping to identify the fish’s critical habitats, and inform management decisions concerning the threatened and endangered species. A University of Maine research team led by School of Marine Sciences associate professor Gayle Zydlewski is working to shed light on the elusive fish by tagging them in the Penobscot River and tracking their travels by using a network of acoustic receivers throughout the Gulf of Maine and beyond. The scientists found that during the summer months, many of the tagged sturgeon return year after year to a narrow 3-mile stretch of the Penobscot estuary to feed. However, in the fall, they can stray quite far from their summer homes in Maine. Some Penobscot sturgeon were detected as far away as the Bay of Fundy and the Hudson River. The discovery of extensive migration patterns emphasizes the need for future conservation and management strategies that can span regional subpopulations and international boundaries. A native fungal pathogen that has increasingly damaged eastern white pine throughout New England in the last three decades has been found to be most severe in stressed, weakened trees, such as those growing in poor soils or in extremely dense, overstocked stands. Extremes in climate also are predisposing trees to more damage due to drought and record precipitation, according to University of Maine researchers. The UMaine research team, led by William Livingston, associate director of the UMaine School of Forest Resources, and Kara Costanza, a Ph.D. candidate in forest resources, expects to issue a management plan for eastern white pine in the coming year. It will be based on the findings of their three-year project focused on the health concerns resulting from Caliciopsis pinea and its impact on the region’s forest products industry. Recommendations will aim to reduce future infestations and limit the amount of damage caused by the pathogen. 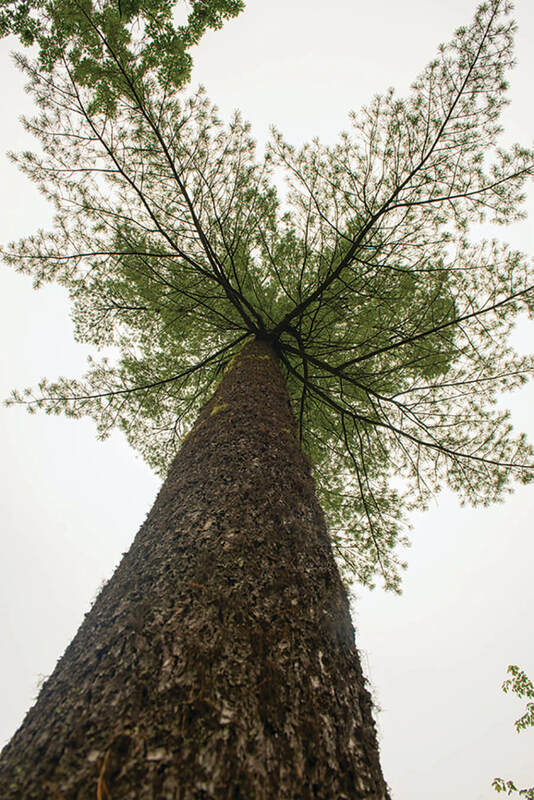 Since the late 1990s, forest health specialists have found increasingly significant damage to white pine from the Caliciopsis canker — first in central New Hampshire and then elsewhere in New England. 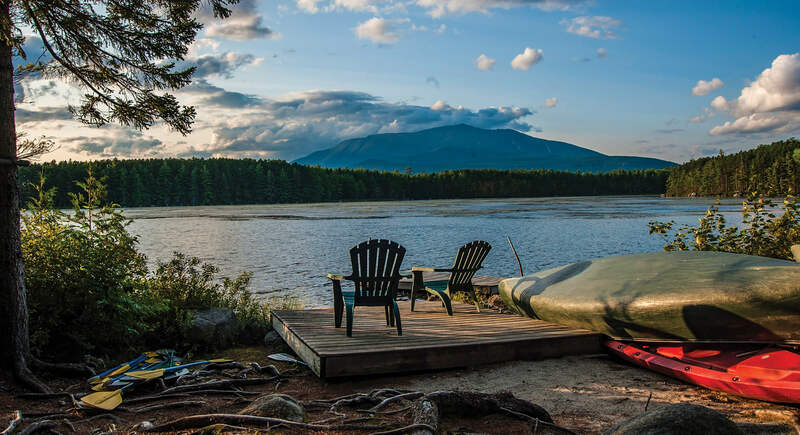 In their project, UMaine researchers are collaborating with the U.S. Forest Service, New Hampshire Division of Forests and Lands, Maine Forest Service, Northeastern Lumber Manufacturers Association, and regional foresters and loggers. They are studying C. pinea to understand how it biologically affects trees, the pathogen’s incidence and severity, and its impact on the forest products industry. Proactive forest management practices such as thinning will aim at improving the health and value of the seminal species. Skylar Bayer, who graduated last spring from the University of Maine with a Ph.D. in marine biology, has been studying scallops for six years in professor Richard Wahle’s lab at the Darling Marine Center. Her research addresses questions about scallop reproduction. Scallops are broadcast spawners, releasing their eggs and sperm separately into the water. Fertilization happens by random encounters. Bayer knows about scallop spawning events from both laboratory and field experiments. However, even under a microscope, it’s difficult to distinguish the eggs, sperm, embryos and larvae of scallops from those of other bivalves. In research funded by Maine Sea Grant, Bayer is collaborating with microbial ecologist Peter Countway, a senior research scientist at Bigelow Laboratory for Ocean Sciences in East Boothbay, Maine, to detect scallop spawning without having to collect, tag, track, tend, dissect or harvest. 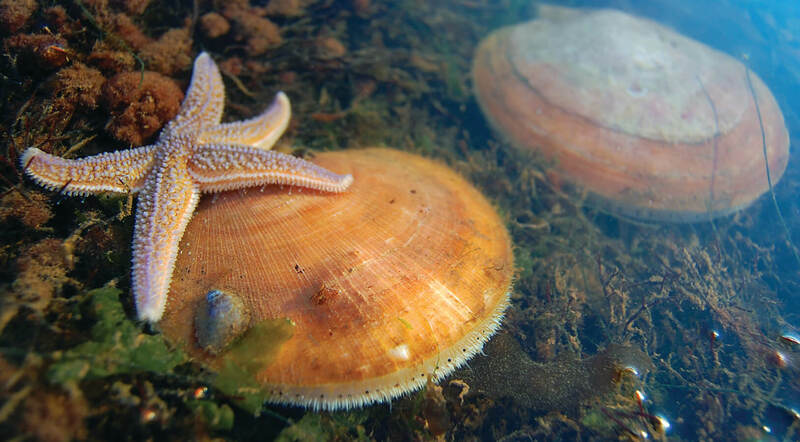 They have developed a technique that uses three pieces of DNA that work together to locate and amplify scallop DNA against the backdrop of millions of other DNA types in the environment. The goal is to determine whether it can detect scallop DNA in a typical seawater sample. Bayer and Countway successfully used the method to detect spawning scallops in the laboratory. Now they are extracting DNA from ocean water samples to determine if they have captured any spawning events. There is growing interest in environmental DNA — e-DNA — techniques for assessing biodiversity, detecting the presence of invasive or toxic species, or studying migration patterns. The signatures of life are everywhere, revealing where animals have been and, in the case of spawning scallops, what they’re doing. Colorado potato beetles can decimate spud crops by devouring the plants’ foliage. That’s a big problem for farmers in Maine, where the 2016 potato harvest was valued at more than $142 million. There’s more unsettling news: Each female Colorado potato beetle can lay about 600 eggs in a growing season. And the species — Leptinotarsa decemlineata — easily develops resistance to pesticides. What might slow their devastation of potato crops? Perhaps cannibalism, say University of Maine researchers. 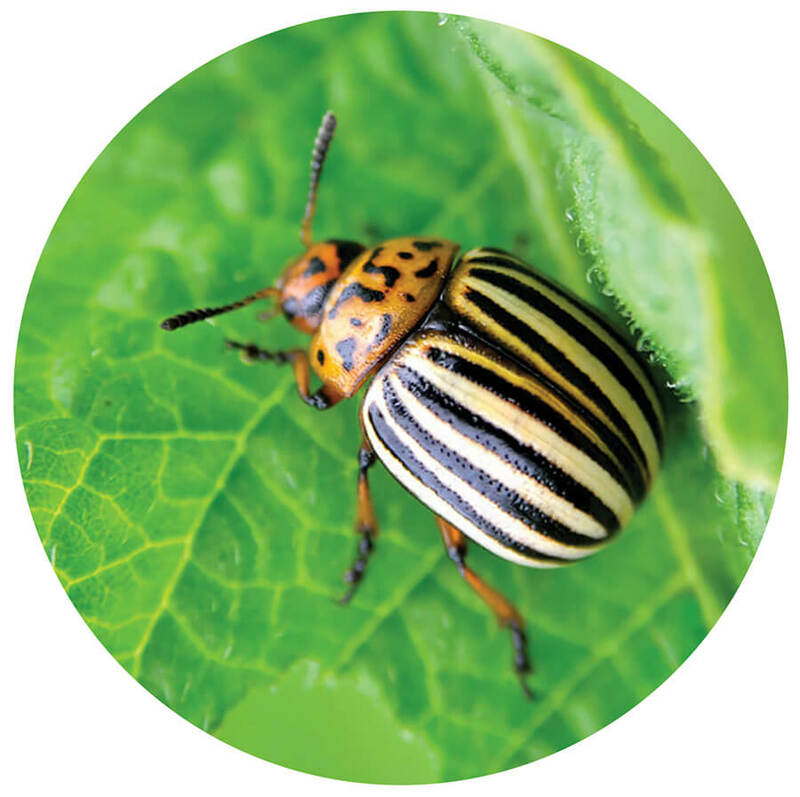 Colorado potato beetle cannibals get an immediate benefit — a meal without investing in a lot of search time. UMaine scientists Everett Booth, Andrei Alyokhin and Sarah Pinatti observed that in a laboratory, Colorado potato beetles faced with starvation, crowding and no opportunity to disperse ate beetle eggs, young beetles, injured beetles and other adults. Even when Colorado potato beetles were given a choice between other adult beetles and mealworms, they ate their own species, says Alyokhin, an entomologist and director of the School of Biology and Ecology. But new data indicate rising temperatures over the past 35 years are eroding this natural buffer and allowing conditions more suitable for malaria to climb into highland areas, says Lyon, who is based at the Climate Change Institute, and in the School of Earth and Climate Sciences. In 2015, the Centers for Disease Control and Prevention estimated 214 million cases of malaria occurred worldwide and 438,000 people died, mostly children in Africa. 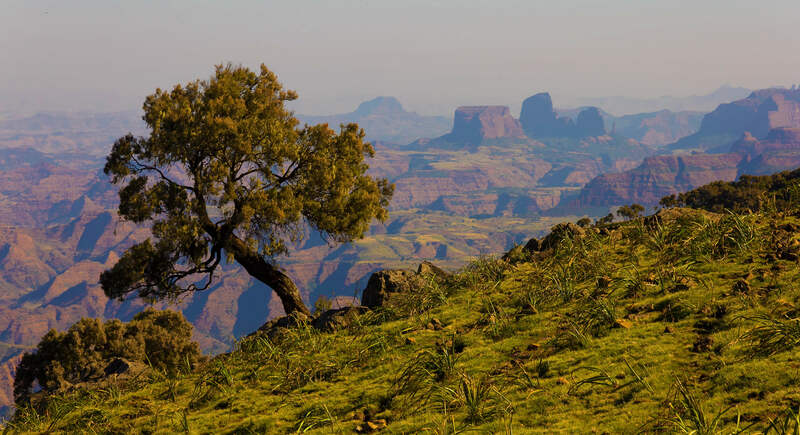 The study, published in the journal Environmental Research Letters, utilized a newly developed national temperature data set for Ethiopia, made possible by NOAA’s Climate Program Office and Columbia University. 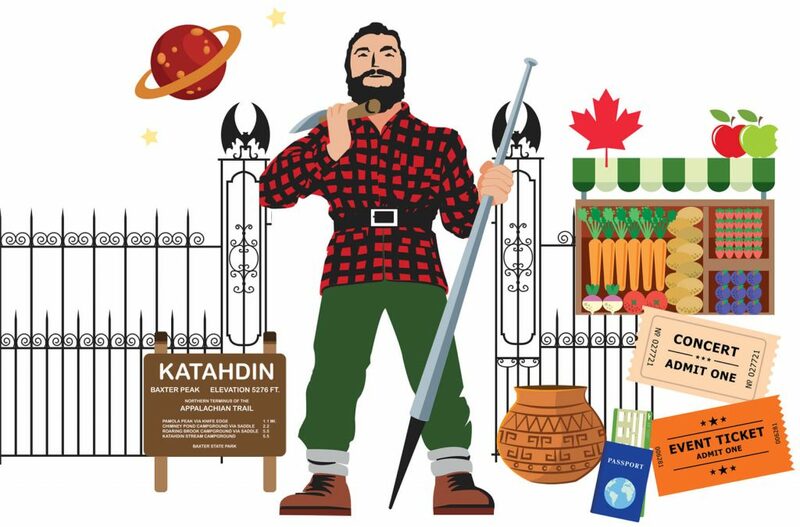 Twenty-three students in a digital narrative course led by new media professor Joline Blais are working on a prototype for a virtual wild blueberry museum. They are collaborating with Marie and Dell Emerson, who head Wild Blueberry Land in Columbia Falls, Maine, and are developing a Wild Blueberry Museum for Washington County. 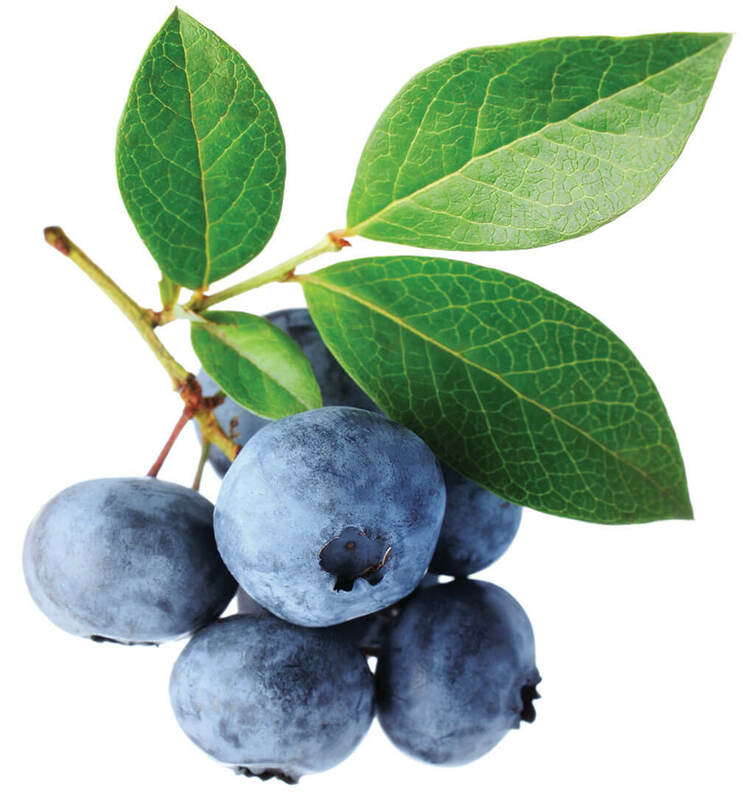 For the virtual museum, students interviewed wild blueberry farmers about their personal experiences and memories. The mission of the virtual museum, expected to debut in 2018, is to “tell the ‘Great American Story’ of the history of the origins and industry” through stories from the family farms, according to the Wild Blueberry Land website. Psychology professor Rebecca MacAulay and music education professor Philip Edelman have partnered on an innovative cognitive research project that teaches older adults to read and play music. Earlier this year, the Maine Understanding Sensory Integration and Cognition (MUSIC) Project was piloted with two groups of older adults. The participants, many of whom had never had music lessons, spent 12 weeks learning to read and play music on the recorder. 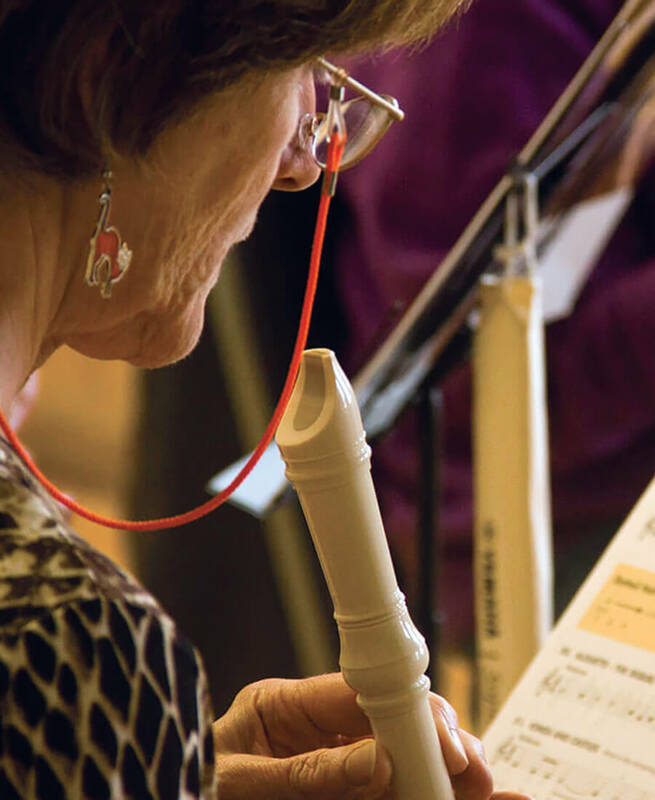 MUSIC partnered with the Heritage and Somerset Place independent living facilities for low-income adults in Brewer, Maine, recruiting older adults who were interested in learning to play music in a social setting. As part of the project, psychology and music education majors also worked with the elders. The project stems from MacAulay’s research into understanding and improving cognitive development in older adults, and Edelman’s work and research with the New Horizons music programs for seniors. In her research, MacAulay has found that one of the greatest challenges in treating cognitive aging processes is to find activities that older adults enjoy doing. Edelman’s work with the Roeland Park New Horizons Band showed that older adults seem to enjoy learning and making music together. Native American ecological knowledge and western science will be integrated in some University of Maine science courses, with the goal of implementing the methods nationwide. 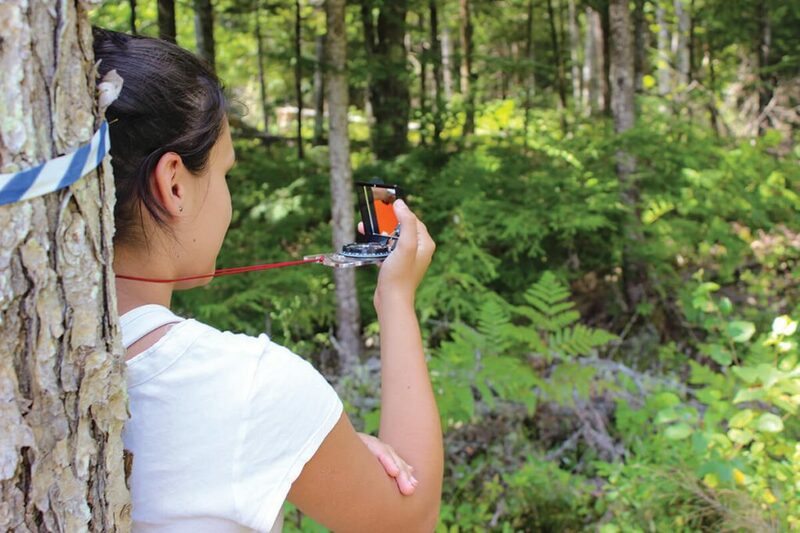 With a $300,000 National Science Foundation INCLUDES (Inclusion across the Nation of Communities of Learners of Underrepresented Discoverers in Engineering and Science) grant, tribal and UMaine collaborators will develop science courses that utilize Traditional Ecological Knowledge and western science to increase Native American student participation in college and career STEM fields. INCLUDES builds on research that suggests complex challenges are best addressed through networked communities focused on finding solutions through common goals and shared resources. Incorporating culturally relevant educational methods results in Native American long-term participation in sciences, says project leader Darren Ranco, associate professor of anthropology, chair of Native American Programs at UMaine and faculty fellow at the Mitchell Center for Sustainability Solutions. Since WaYS began in 2013, there has been a 15 percent increase in the number of Native American students enrolled in STEM fields at UMaine. For the UMaine project, Native Cultural Knowledge Keepers and Elders will come together with university faculty members John Daigle, associate professor of forest recreation management; Mindy Crandall, assistant professor of forest landscape management and economics; and Shaleen Jain, associate professor of civil and environmental engineering. The project, Wabanaki Youth in Science (WaYS) Program to Bridge Inclusion in Post-Secondary Education Through the Sciences, will develop STEM education methods and practices. It also is UMaine’s second NSF INCLUDES grant. The first in 2016 focused on the project, Creating a Diverse STEM Pathway with Community Water Research, led by Mohamad Musavi in the College of Engineering. The U.S. Economic Development Administration (EDA) has awarded $1.5 million to support a major waterfront infrastructure investment at Darling Marine Center (DMC), the University of Maine’s marine laboratory in Walpole. The award will benefit marine companies and communities statewide and beyond. 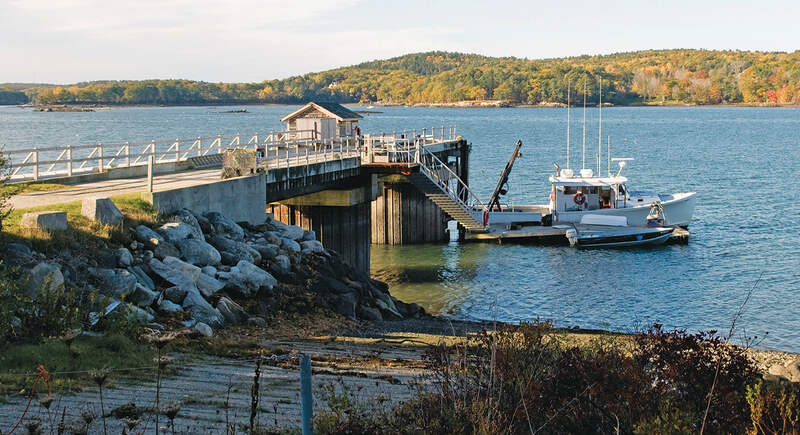 Together with matching funds from UMaine and state marine bond funds, the EDA award will enable DMC to upgrade its flowing seawater system, renovate its oldest seawater laboratory and replace the nearly 50-year-old main pier. DMC researchers are helping the fisheries and aquaculture sectors adapt and grow in response to changing conditions. Current research includes studies of changing conditions on lobster and shellfish, as well as industry-led efforts with oysters, eels and kelp. DMC scientists also study fundamental ocean ecology, including microbial dynamics. Students are integral partners in this research. Through Semester By the Sea, students are immersed in a residential marine science experience at DMC. Graduate students are in residence year-round. Education opportunities include not only courses for UMaine students, but also for K–12 students and working professionals. The waterfront investment will enhance facilities vital for research, education, and workforce development and engagement with industry and communities. As virtual reality programs grow in popularity, more and more educators are using them to teach students about a variety of subjects, from science to geography to math. A team from the University of Maine recently released a beta version of one such program that allows students to learn geometry in a virtual 3-D space. 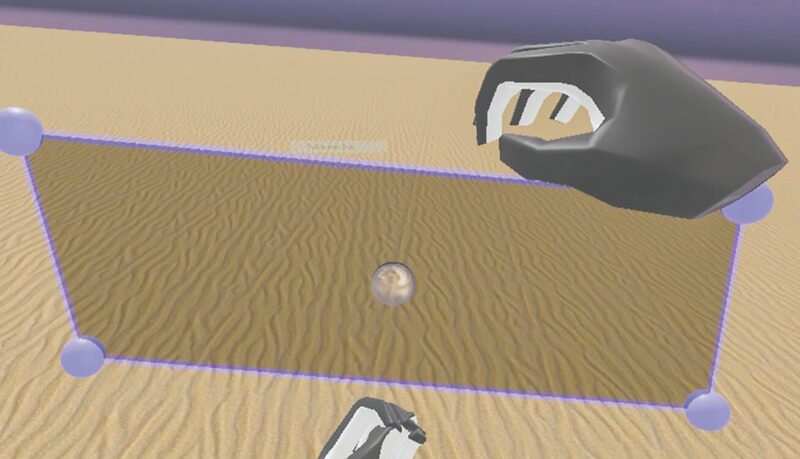 The program, called HandWaver, was designed and developed at UMaine’s Immersive Mathematics in Rendered Environments (IMRE) Laboratory and was supported in part by the UMaine Faculty Research Funds Program sponsored by the Office of the Vice President for Research. Justin Dimmel, assistant professor of mathematics education and instructional technology in the College of Education and Human Development and IMRE’s director, says the program is designed for users of all ages. “We wanted to harness the potential of commercially available virtual reality and gesture-tracking technologies to create an environment where anyone would be able to quickly and intuitively build and explore a range of geometric figures,” says Dimmel. Dimmel says HandWaver was designed to be gesture-based to minimize the barriers between the intuitions people might have and the mathematical actions they might take to investigate those intuitions. It’s intended as a prototype of the kinds of learning experiences that will be increasingly available to schools as virtual reality technologies become more commonplace.